We have now completed the latest major release for DynDevice - the e-Learning platform with several interchangeable solutions delivering cost-effective management of every aspect of staff training! An important update for DynDevice, which as of today is equipped with new and important features. Introducing new features of the SCORM™ editor and the e-Learning platform of DynDevice. Further enhancements available for theSCORM™ editor, e-Learning platform and the CMS embedded in DynDevice. After completion of all the standard in-depth qualitative tests, the new 3.1.35 version of the dyndevice lcms e-learning platform with scorm editor and authoring tools has now been released for distribution. 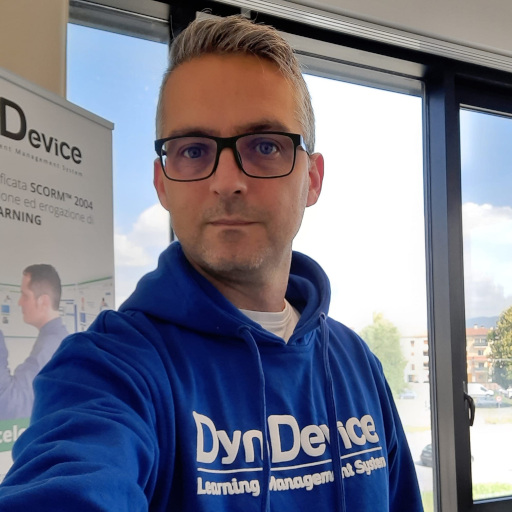 Quality tests have been completed and release 3.1.32 of DynDevice LCMS: e-learning platform with SCORM™ editor and authoring tools has consequently been rolled out. The DynDevice LCMS e-Learning platform equipped with SCORM™ editor and authoring tools has reached version 3.1.30, with the introduction of a number of minor changes. DynDevice ECM development team is back with an important update, mainly centered around the "E-Commerce" module.